A total of 7.5 miles, including an ascent of 2300′. 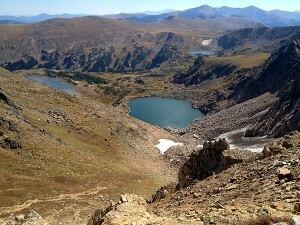 I’ve been on 14 high-altitude hikes since early June. It is hard to believe I broke my ankle a year ago. I am grateful for my strength, discipline and for the wilderness areas set aside for us. It is this beauty and the immersion within it, that elevates my spirit. Another birthday looms, but I am learning that the numbers themselves are not what limit us.